[PDF] Barbed Wire Diplomacy: Britain, Germany, and the Politics of Prisoners of War, 1939-1945 | Free eBooks Download - EBOOKEE! Description: Product Description: Barbed Wire Diplomacy examines how the United Kingdom government went about protecting the interests, lives and well-being of its prisoners of war (POWs) in Nazi Germany between 1939 and 1945. The comparatively good treatment of British prisoners in Germany has largely been explained by historians in terms of rational self-interest, reciprocity, and influence of Nazi racism, which accorded Anglo-Saxon servicemen a higher status than other categories of POWs. 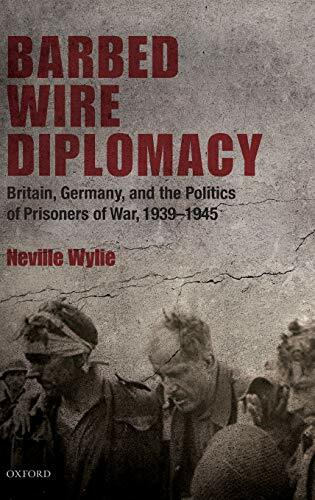 By contrast, Neville Wylie offers a more nuanced picture of Anglo-German relations and the politics of prisoners of war. Drawing on British, German, United States and Swiss sources, he argues that German benevolence towards British POWs stemmed from London's success in working through neutral intermediaries, notably its protecting power (the United States and Switzerland) and the International Committee of the Red Cross, to promote German compliance with the 1929 Geneva convention, and building and sustaining a relationship with the German government that was capable of withstanding the corrosive effects of five years of warfare. Expanding our understanding of both the formulation and execution of POW policy in both capitals, the book sheds new light on the dynamics in inter-belligerent relations during the war. It suggests that while the Second World War should be rightly acknowledged as a conflict in which traditional constraints were routinely abandoned in the pursuit of political, strategic and ideological goals, in this important area of Anglo-German relations, customary international norms were both resilient and effective. No comments for "[PDF] Barbed Wire Diplomacy: Britain, Germany, and the Politics of Prisoners of War, 1939-1945".